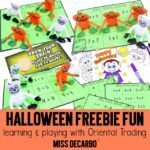 A Glimpse Into My Math Workshop & Freebie Game!! This year, I am teaching math strictly in small groups. 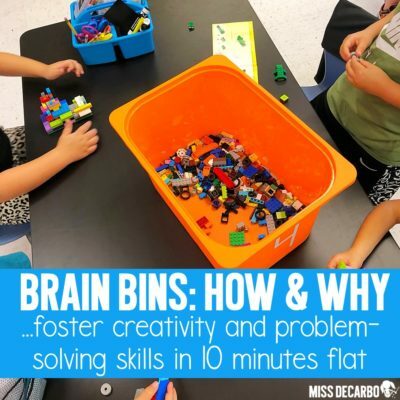 In the past, I’ve done a 15 minute mini-lesson approach, followed by small groups. This year, in order to maximize the time I have with my inclusion intervention specialist, we are teaching all concepts within small groups and ending with a “Math Mini” (quick practice or review of a specific Common Core skill in our Math Notebooks – this is much shorter than what my mini-lessons used to look like). 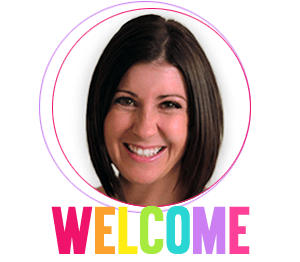 Approaching the new concepts within each small group allows me to further differentiate the concept to each level of students, compared to how I presented it to the whole class last year. 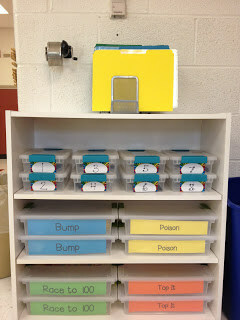 Here is our Math Center bookshelf. At this bookshelf, partners grab the game they are playing and head off to a place in the room (these are the big bins on the bottom two shelves). 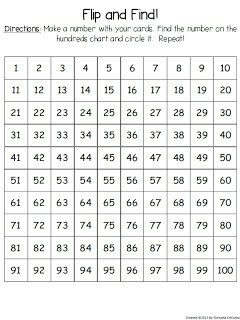 You can follow my Math Games pinterest board by clicking HERE. 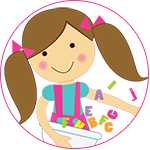 Download this game from Google Docs for free by clicking the picture below. 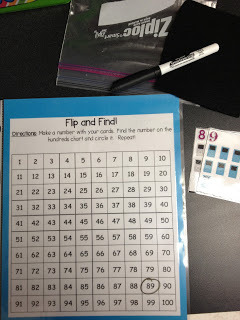 All of my Independent Math games are put in sheet protectors to make the games dry-erase. At the beginning of each month, we practice all of the Independent Math games as a whole class. I simply print off a copy of the game board and the students stick it into the sheet protector that stays in their math folder. Ta da! 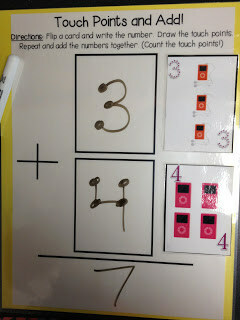 Instant dry-erase game for my kiddos to use as practice. We are also practicing our touch points to help us add. 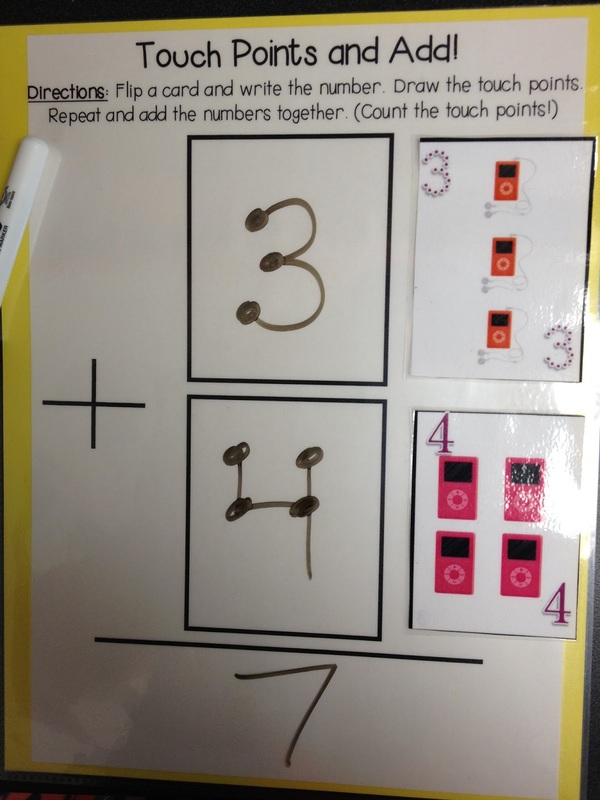 Another game board for Independent Math this coming month is this very simple addition mat. 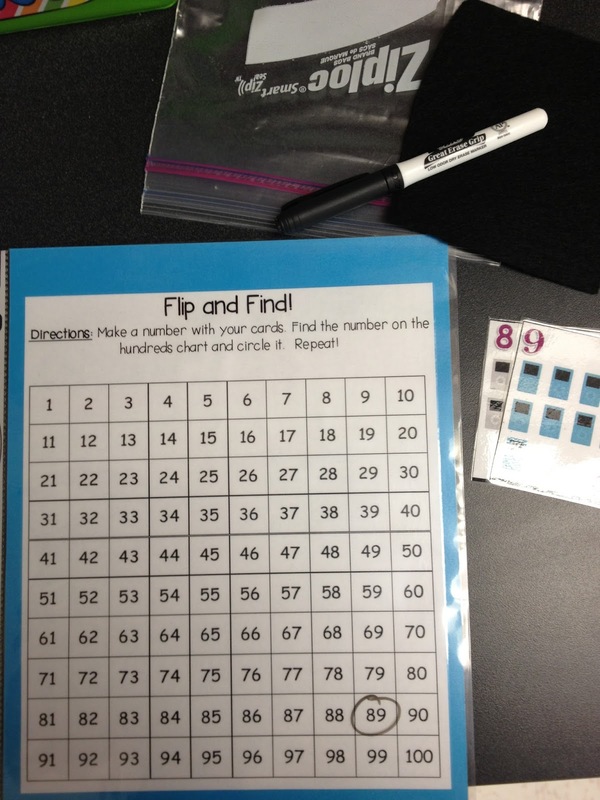 Students flip over two number cards (numbers run from 1 to 9), add the touch points, and find the sum! 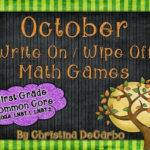 Math on Computer consists of my students playing many fun math games and apps! 🙂 You can click on the label: Weekend App Attack! 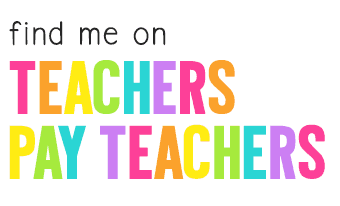 on the right sidebar of my blog to find many of the apps I use for math in my classroom. 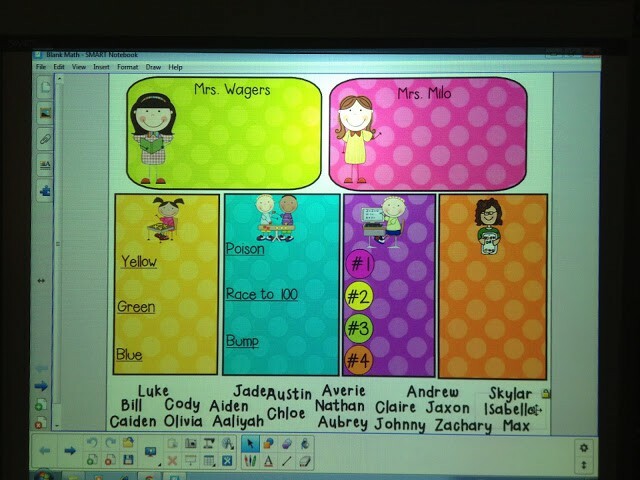 On Fridays, we complete a data chart or graphing activity during round one. 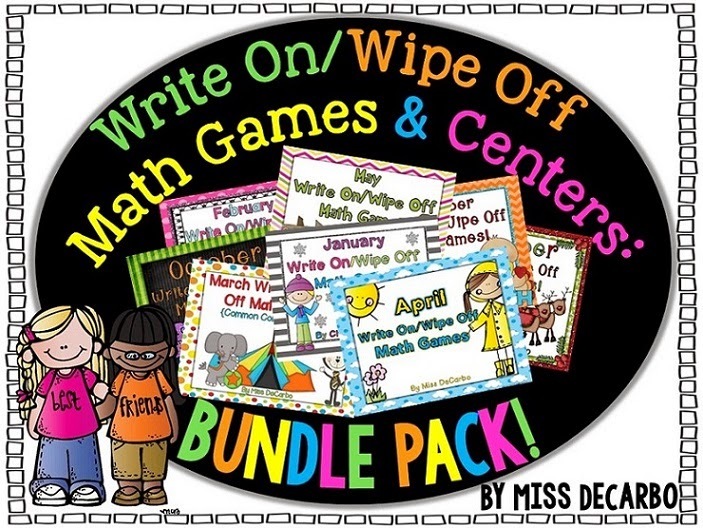 Rounds two and three are saved for math assessments, learning new monthly games, or completing a mini lesson with a review activity/game that we will all complete together. Thanks for stopping by! 🙂 I hope your week is off to a great start! 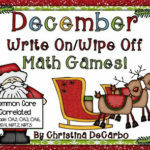 December Write On/Wipe Off Math Games! LOVE the Smartboard rotations! I use my Smartboard for my Daily 5 stations, too! Yours is so bright and fun 🙂 Thanks for sharing!! Love the clipart on yours… where's it from? Hi Amelia! 🙂 The clip art is Scrappin Doodles :). 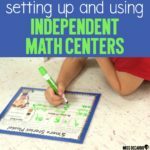 Can you share more about independent math? Also, what do you have early finishers do? Was there a spot to click to get your awesome SmartBoard rotation board? I think I missed it! Thanks!